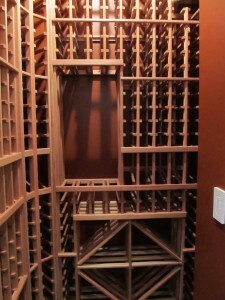 Chicago Wine Cellar Expert can contract for any portion of the wine cellar project. From the execution of the preliminary drawings, to the handing over of the keys to the client, Chicago-WCE employees and sub-contractors can do it all. We understood from the start of our company that local provided advantages. While competitors can offer similar products or services, none can offer the level of service we provide. 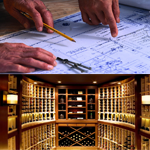 Meeting with architects, builders and design/build professionals to develop a magnificent plan for the overall wine cellar. Executing the build-out stage including the framing, the insulation, the placement of vapor barriers, all mechanicals and finally the drywall. Bringing-in sub-specialty artists who work in paints, plasters, stone, brick and millwork to complete the interior aesthetic. Over decades we have sought-out and found the very best in each field. 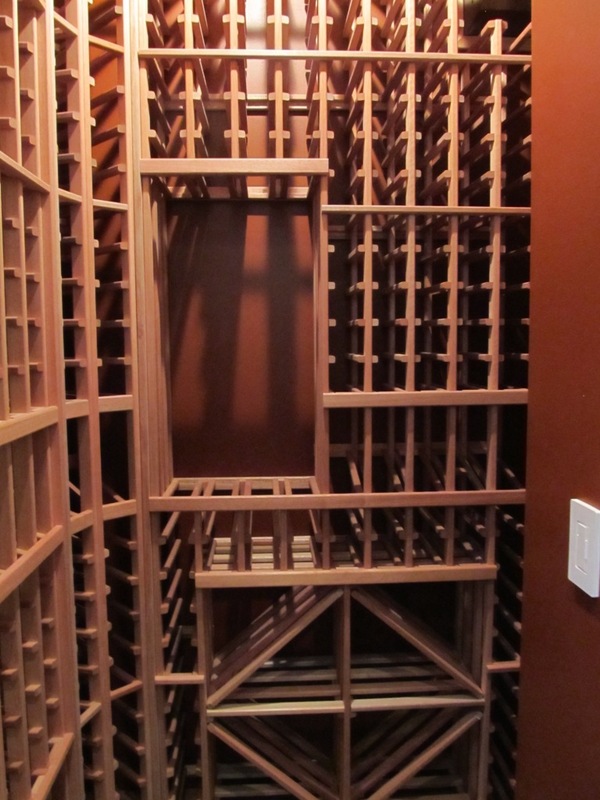 Completing the design, the build and the installation of all racking components from kits to custom and even to what we refer to as severe custom. 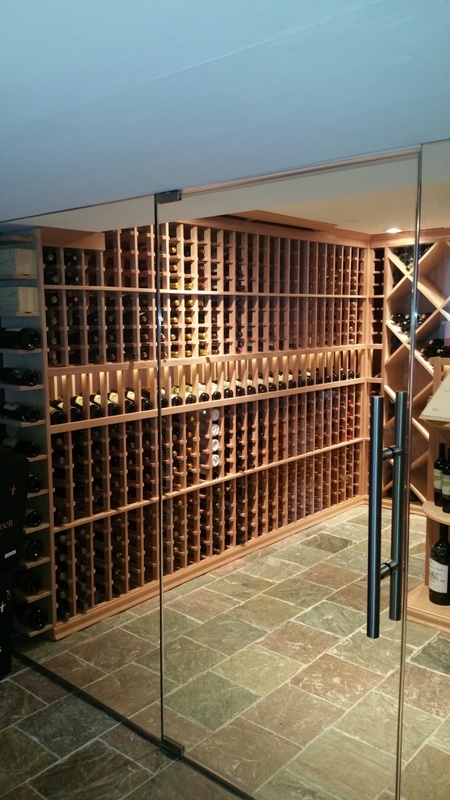 Design, manufacture, and installation of the cooling system. 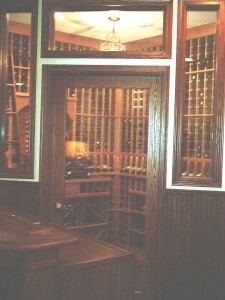 Adding glass windows and accents to the cellar, both plain and etched. 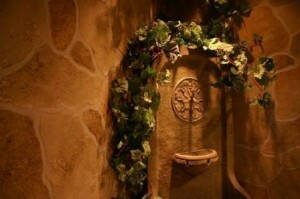 Supplying the door itself and all the components necessary to make it function as specified. Providing and installing the flooring. 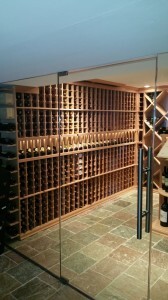 Chicago Wine Cellar Expert can complete everything listed above or any portion of actions listed. Please see below some of the unbelievable work of the artists who bring their talents to our company every day. Trompe l’oeil, faux-stone, fresco painting, faux marbling, and twenty more. 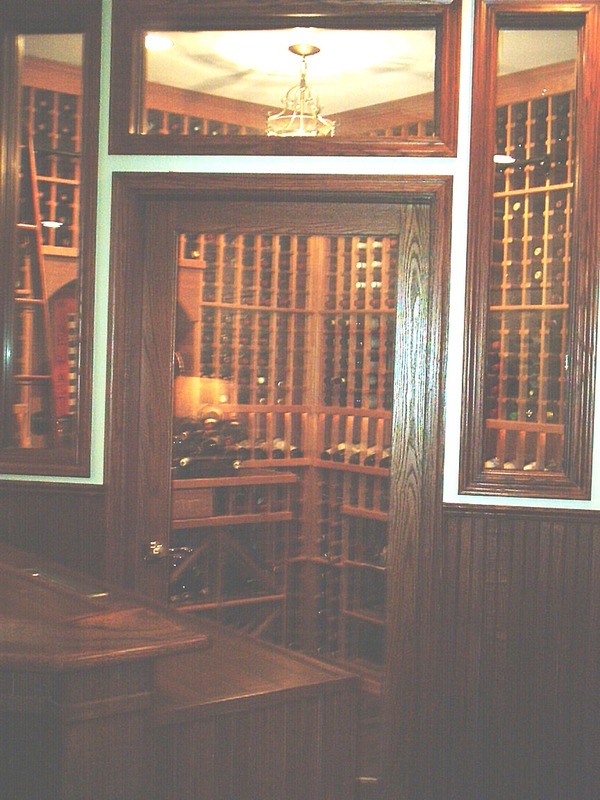 Faux limestone entrance to wine cellar Lake Forest, Illinois.